A lightweight styling powder that instantly adds volume and texture while providing a high hold and completely natural matte finish. It is practically weightless, odorless, and colorless and never feels sticky or stiff. Ideal for styles that require volume and definition without worrying about the product weighing it down. Apply to very towel-dry to dry hair for best results. Do not over-apply as using a little goes a long way. The product is good: it creates a stronger hold for almost the whole day. It can also be used as a prestyler. The only downside is a tiny amount of the powder in one package. The beeswax paste has the best hold yet then if you toss the texture powder on top after you’ll have a great natural looking strong hold hairstyle for the day! Great for slick backs and pomp’s. My order S50626 was never delivered. I’ve been emailing them for about 40 days now and they don’t seem to care. I’ve contacted them on Instagram, Facebook and even posted on their page. No reply. A COMPLETE SCAM! I had ordered 3 of these and non of it came. AND THEY STILL HAVE MY MONEY. This product is awesome gives it that little extra bit of love especially when you combo it with the putty. How do I apply the Texture Powder? Apply to dry hair by lightly sprinkling powder at the root for lift and volume or spread it evenly all over for extra fullness and texture. A little goes a long way so do not over apply. Scrunch or move hair in any direction to achieve the desired look. 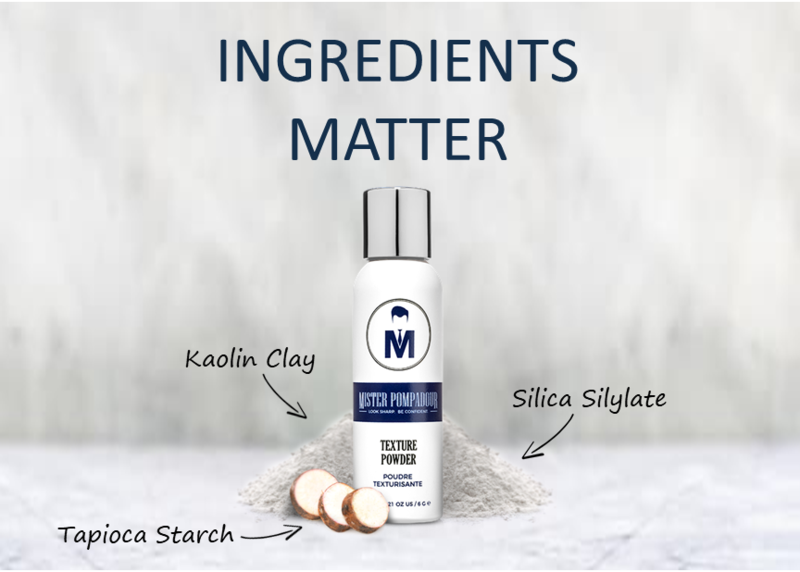 It provides a natural matte finish that's not greasy looking and it won't leave sticky residue or flakes in your hair. Yes, the Texture Powder is powdery and does not contain petroleum oil type ingredients which means it washes out easily with water. It is odorless, therefore it won’t interfere with your cologne.